Recently support for NPAPI has been removed from Google Chrome. While understandable from a security point of view it does mean that some plugins no longer work. In versions prior to 6.0 VMware supplied the VCSA (vCenter Server Appliance) as an OVF template that could be imported directly. Starting with version 6.0 the installation process has changed and now consist of an .iso file containing a custom, HTML based, installer. Vladan Seget has a nice blog post where he describes the installation. 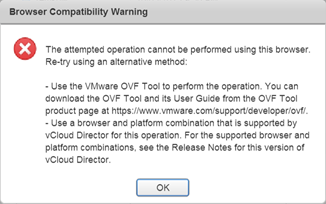 But even worse is that we cannot import VCSA 6.0 in vCloud Director. 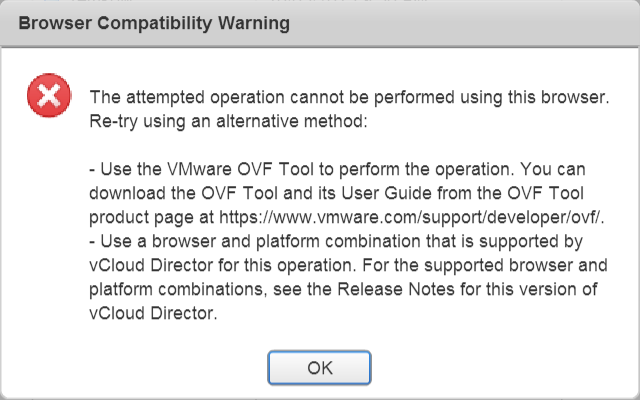 Even converting the OVF inside the iso file doesn’t help because vCloud directory lacks support for Deployment Options. Benjamin Delpy the author of the well known mimikatz toolkit has released a very cool extension to WinDbg today. In summary the extension can extract Windows passwords from memory dumps, hibernation files and Virtual Machine .vmem files (paging, snapshots). Especially the ability to extract passwords from .vmem files was very interesting. So I decided to to test this out, so let’s see how it works! 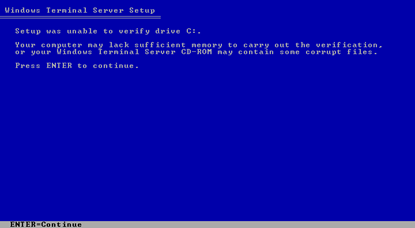 For a research project I tried to install Windows NT 4 Terminal Server on VMWare Workstation (version 8). Obviously the installation doesn’t really fail because of too little memory and neither is the installation disc (an iso file) corrupt, it’s a bug. I am running a virtualized Mac OS X machine in my VMWare Workstation but I noticed that after a period of inactivity the virtual machine would sometimes freeze. Because this only happens after inactivity I assumed it had something to do with Power Saving so I changed the Energy Saver settings and that fixed it! I needed to delete around 50 scheduled tasks from several machines in Altiris because something went wrong in on of the first jobs. It would have better if the jobs were configured to fail on error and not continue but they weren’t. Then the actual delete can take a few minutes and then the next server and so on. I decided to delete the tasks directly from SQL. So al it does is a (transacted) delete from the table. I was deploying virtualized Citrix XenApp Servers on HP BL460c G6 servers and somehow the storage (direct attached) responded very slowly. I had expected reduced performance (see my earlier post) since I didn’t have the Battery Backed Write Cache module installed. I did order them but had to start deployment before they arrived. I did not however expect such an extreme bad performance. 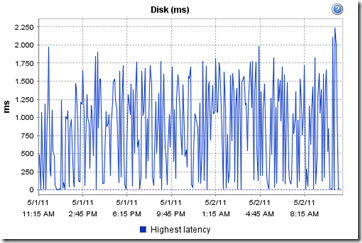 Deployment took ages or sometimes failed completely and when logging in to a VM it responded very sluggish. 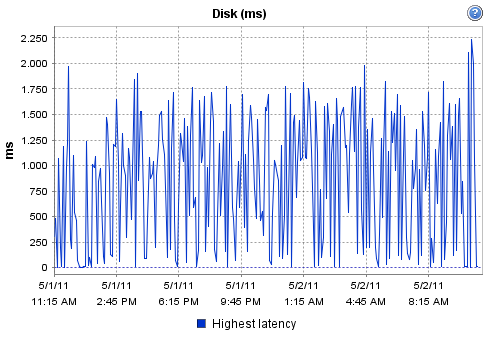 I looked in the vSphere console what the Disk Latency was. Latency under 10ms is usually considered good while a latency between 10 and 20ms is a potential performance problem. 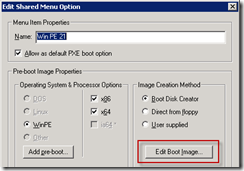 After compiling the VMWare VMXNET3 Driver for Linux I needed a driver for the Windows PE Image as well. Compared to what I needed to do for Linux this was a breeze! First we need the VMWare tools again so I grabbed windows.iso from /vmimages/tools-isomages. The driver files are in a cab file, VMXNET3.cab, extract this cab file somewhere and open the Altiris PXE Configuration tool. In the previous part we have already setup the Ubuntu Virtual Machine and we did a build of the kernel image. 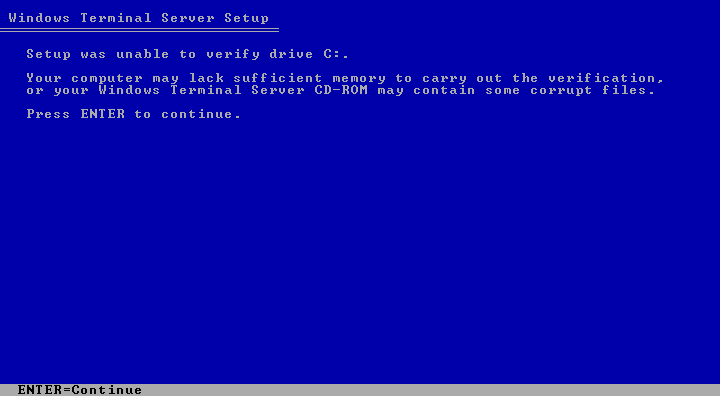 So now we can finally compile the driver, in my case I needed a driver for VMWare’s VMXNET3 Network Card. VMXNET3 is VMWare’s paravirtualized network driver and offers better performance with less host processing power compared to the default e1000 driver. 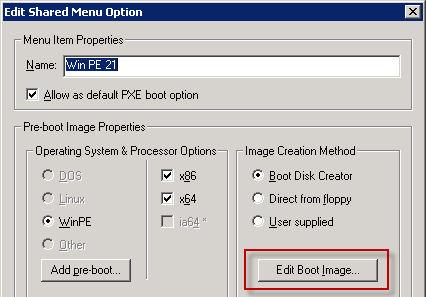 First we need the source for the driver, we can obtain this from the VMWare Tools either from a running Linux VM or like I did by transferring the file linux.iso from /vmimages/tools-isomages from the vSphere server. In the iso file is a single file, VMWARETO.TGZ and after unpacking we get a folder called vmware-tools-distrib. In vmware-tools-distrib/lib/modules/source we find the vmxnet3.tar file that contains our sources. Copy the tar to the Virtual Machine and unpack it, then start a Terminal and cd to the directory where you unpacked the tar.